On a road trip miles from home, this anagram-happy, washed-up child prodigy has ten thousand dollars in his pocket, a blood-thirsty feral hog on his trail, and an overweight Judge Judy-loving best friend riding shotgun - but no Katherines. Colin is on a mission to prove The Theorem of Underlying Katherine Predictability, which he hopes will predict the future of any relationship, avenge Dumpees everywhere, and finally win him the girl. I didn't think I'd like The Fault in Our Stars, but I did. I didn't think I'd like Paper Towns, but I did. I didn't think I'd like Looking for Alaska, but I did. I thought I'd love An Abundance of Katherines, but I ended up detesting it. Take from that what you will. Alright, people, brace yourselves. I'm about to give one star to a John Green book. An Abundance of Katherines is one of the most boring books I have ever read, and I am not exaggerating. Nothing happens. There's no point to the story. It's just a washed-up child prodigy going on a road trip, obsessing over mathematical formulas and people called Katherine for no real reason. That is genuinely it. But I guess you want to know why I hated it in a bit more detail. The first on a list of many things I found annoying about this book is the flow - or lack of it. A good example of this is when Colin and his friends, Hassan and Lindsey, had to interview the locals for a project - a completely unnecessary project which was never fully explained - and we, as the readers, are subjected to pages and pages of fictional people we know absolutely nothing about, talking about how their town used to be in the old days. There was no point to this whatsoever, and after a while I just started to skip these pages because they were so dull. It seemed like Green was just writing and writing until he thought of something interesting he could make happen. I guess he never thought of anything. What's second on my list? Colin and his obsessive complaining. He used to be a child prodigy but he's past the point of being a child, and we're not allowed to forget it, considering he complains about no longer being a child prodigy on what seems to be every other page. Next up is the constant use of 'fugging' in place of a certain f-word. I mean, fine, if you're going to say it once every few pages or so. But several times in one sentence? Really? It was irritating. Even more irritating were the footnotes, which only succeeded in pulling me out of the story, on the rare occasion that I was in it in the first place, and mathematical diagrams that made no sense to me were uselessly littered throughout. To actually get through this book - because, yes, I did finish it, surprisingly - I read around fifty pages a day. Any more than that and I started to fall asleep. And I don't nap. Ever. So that shows how bored I was. Green's other books are great, but this one? In my opinion, it's not worth the time. On a more positive note, who's seen the trailer for Paper Towns? I was skeptical when the casting was announced a few months ago - I mean, Cara? Really? - but after watching the trailer I can't imagine anyone else playing Margo. It's perfect and I'm more excited for Paper Towns than I was for The Fault in Our Stars! What do you all think? I agree. I agree almost wholeheartedly. An Abundance of Katherines is by far my least favorite John Green Book (though I've only read it, TFIOS and LFA, though I have WG,WG&PT). I think the point of interviewing locals was to somehow give Colin and Lindsey a different way of seeing things. I actually liked that part. I completely agree with the whining, it's like "We get it, you're not a prodigy, get over it". It's not like he was completely dumb, he was still smart, he just wasn't exceptionally great at anything naturally, which is fine. I have to say though, i loved the footnotes, I adored them, I love it when books include those sort of thing. They were my favorite part. Anyway, this book was a huge struggle for me to get through. I think it took me a couple weeks just because it was so.fugging. irritating. Haha. Just kidding about the fugging part. I felt exactly the same way, I hated it so much I didn't even finish the book. I tried to pick it back up over and over again, desperate to like the book but I gave up completely after a while. I felt like so had to like the book just because John Green wrote it and I was so excited about it but I was really disappointed. Colin did really annoy me and I felt he was a character who just wouldn't get over himself! Glad I know at least some other pros throttle the same way, brilliant review! This review...actually makes me want to give John Green another chance. 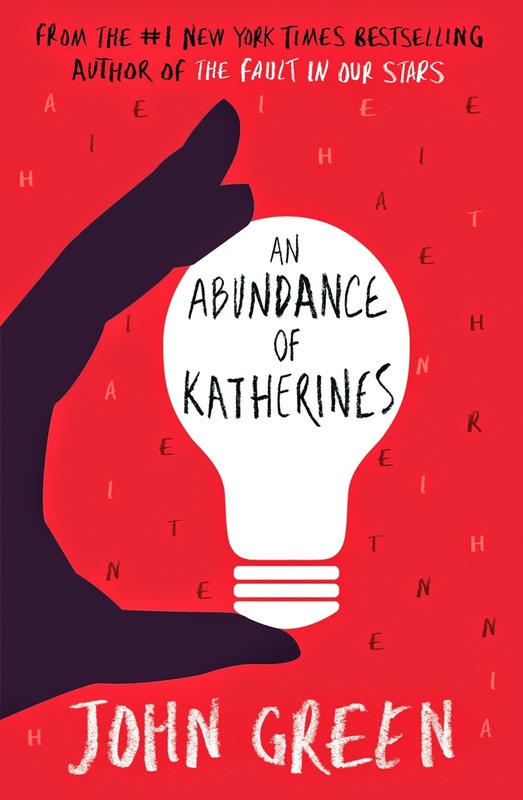 An Abundance of Katherine's was the first John Green book I picked up. And I put it down less than 50 pages in. I was bored. Colin was annoying and Hassan was even more so. I just really did not enjoy reading about them. I sort of assumed all of John Green's books would be similar, so I've avoided them ever since. But...perhaps it's just this book? You seemed smitten with the other ones. I totally agree with you!! I am so relieved that I'm not the only one who felt the same way. It was so boring that I didn't really bother to finish it.. oops?